A Christian based company promoting honesty & quality. Need New A/C or Heating System? Is Your A/C Unit Is The Wrong Size For Your Home? You throw open the windows, but that musty smell comes back. The temperature in some rooms seems out of synch, dusting is a never-ending chore, and the utility bills are climbing. It’s easy to overlook the source of these problems because you can’t see through your walls. Here at Max Mechanical, we offer professional air duct repair in Arlington and throughout the DFW that makes a big difference in your home’s environment. Contact Max Mechanical Air Conditioning & Heating, the residential air conditioning repair experts, today at 817-459-4100 or 972-233-1637 for all of your ductwork repair, installation and maintenance needs. Your family deserves the best of everything including a home that always smells fresh. The household budget deserves every break it can get, and that means controlling utility costs. Your ductwork efficiently circulates air from the heater and AC throughout the house, but it can’t clean or repair itself. The natural buildup of dust and allergens turns into airborne particles that impact your home’s air quality and add to routine house cleaning chores. Air duct leaks and worn insulation force the entire system to work overtime causing uneven room temperatures and higher monthly bills. When our professional HVAC teams tackle your ductwork problems, you save time, energy and money. If you could see through those walls, you’d be surprised at how many components make up the ductwork. The system is a sophisticated layout of supply, return and take-off ducts, and our experienced crews understand it all from the plenum and trunk fittings to dampers and end caps. All of our technicians are well educated, highly trained and state certified, so you can depend on their industry knowledge. They show up on time, bring all the necessary tools for the job and always respect your property and schedule. Our courteous teams give you an honest assessment of your air duct problem and explain exactly what needs to be done so that you understand all the options. 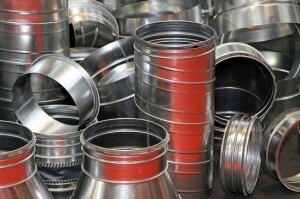 You can count on us here at Max Mechanical for all types of expert air duct service and repair. We start with a thorough inspection, and our process includes specialized HVAC air flow testing on all ductwork components. This allows us to analyze the performance of your system and identify faulty parts. Our certified technicians quickly take care of ductwork repairs and replacements, seal up tears and leaks, and inspect air duct insulation. We make sure that the correct balance of air flow is restored through the ductwork so that every room in your home stays comfortable. This also ensures that your HVAC system runs at peak efficiency without running up your utility bills. Whenever you need reliable air duct repair and services, call us first, and we’ll be right there to solve the problem. We’re proud of our solid reputation as the best air conditioning contractor in DFW, and we’ve earned it by always providing affordable solutions and our premium brand of customer service. Our fleet vans are fully stocked with the parts and equipment necessary for tackling any ac duct repair in Arlington or anywhere in the DFW Metro area, so you can count on us for quick project completion every time. We offer budget-friendly maintenance plans that keep your HVAC system running in top condition, and we guarantee all our work. From residential and commercial repairs to new construction and installation, you can depend on us for expert solutions. For more than 20 years, we’ve proudly taken care of home and business owners throughout the Dallas-Fort Worth Metro area. We’re locally owned and operated, so you can rely on us for professional service, affordable rates and honest work. It’s easy to set up an appointment with us online, or you can call our friendly Max Mechanical pros today at 817-459-4100 or 972-233-1637. We’re here for you with professional solutions to all your air duct problems, and we look forward to being your HVAC specialists. Get A/C or Heating Repair? How often should I change my air filters? How do I know what direction to put my filter in? When should I change my batteries in my thermostat?